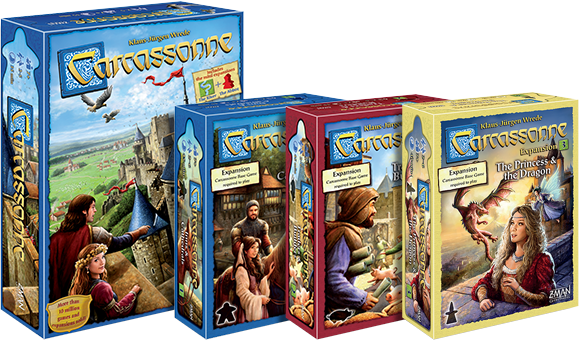 Incorporate humble inns and imposing cathedrals into your games with this Carcassonne expansion. 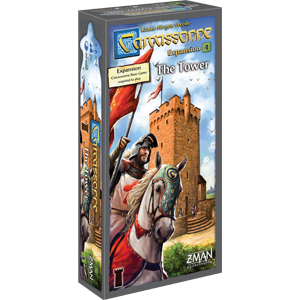 The Inns & Cathedrals expansion adds more ways to shape the Medieval countryside in the award-winning tile-laying game Carcassonne. 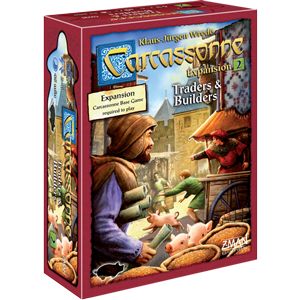 Eighteen Land tiles feature two new buildings that open additional avenues to scoring points. Construct imposing cathedrals that increase your cities' value, or build humble inns along your roads to double the value of your thieves. But be careful! An incomplete feature that uses an inn or cathedral scores no points at the end of the game. 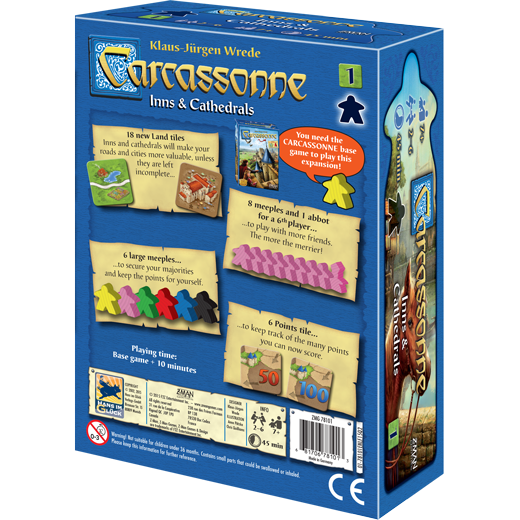 Clever follower placement is a hallmark of Carcassonne, and Inns & Cathedrals adds another layer to this with the large meeple follower type. 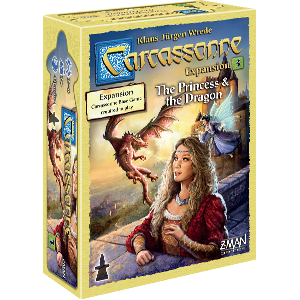 Worth two normal followers, large meeples help you secure features and keep their points to yourself. 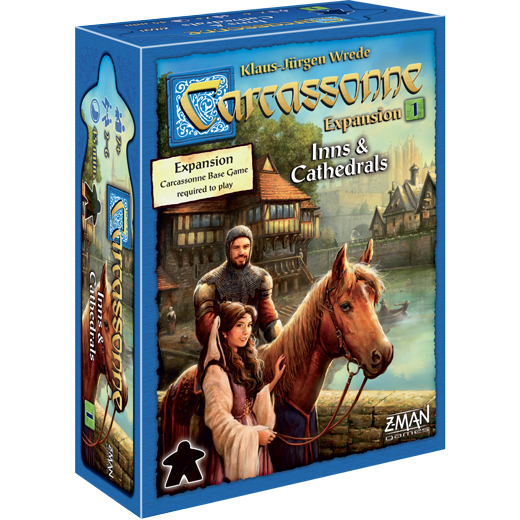 On top of new gameplay twists, Inns & Cathedrals includes components for a sixth player to join in the fun, and Points tiles to help everyone keep score. If you complete a lap of the scoreboard, take a Points tile worth fifty points. If you make it around again, flip your Points tile to the side worth 100 points. 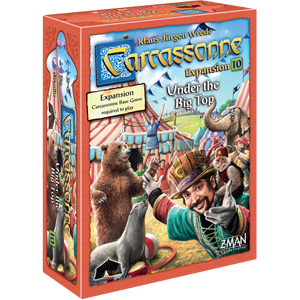 At the end of the game, simply add this amount to the total of your meeple on the scoring track.